Five keys to a new perspective on your project. You need to be sure your study is going to give you the results you need: reliable information on feasibility, achievements, strengths and weaknesses, as well as solid pointers to the way forward. Wouldn’t it also be good to feel calm and assured that your study is going in the right direction? Distilled from over twenty years’ experience of feasibility studies and evaluations, here are the five keys I’ve found open the way to effective studies for small-scale projects. All my research tools use ‘plain English’ which everyone involved in the evaluation can understand. This may sound obvious, but like me you’ve probably come across questionnaires which are difficult to follow, even ambiguous at times. My tools, and the reports I prepare are all straightforward and easy to follow. For the small scale studies I’m involved with, simple tools are quite adequate. There’s no need for complex statistical tests as the project clients usually number hundreds rather than thousands. 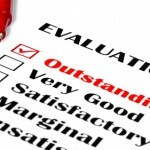 Many projects have a range of objectives; far too many to collect feedback on. I’ll help you review your project’s objectives and decide ones will give the most useful feedback to take your project forward. 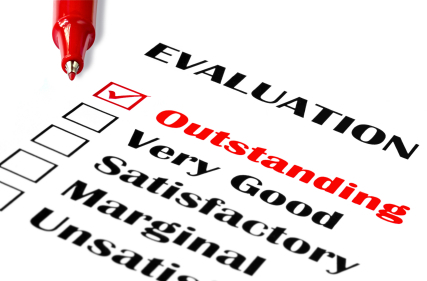 Some projects find this process leads them to want to revise their objectives – a first evaluation finding! While my studies have a clear plan, so everyone knows what’s happening, and who is responsible, I’m always flexible to revising it with your agreement as unforeseen circumstances or issues arise. While the tools I use may be simple, the results need to be robust and reliable. So I ensure that the sample of clients and stakeholders consulted is representative of the various groups of people. This often means ensuring there are enough people represented from several geographical areas, size of business, or type of service. All questionnaires and interviews are piloted first to identify and sort any glitches. I use trained, experienced interviewers. All data transferred onto a database is verified before analysis. I’ll only draw conclusions when there are sufficient results to warrant them. So you can be sure the conclusions and recommendations come from a solid foundation! The projects I evaluate all provide services for people, so my research tools include ‘open-ended questions’ – the ones which can’t be answered with a ‘yes’ or ‘no’, to give the rich feedback you need. These questions are time-consuming to analyse and interpret, so some people avoid them. I always include them because of the richness of the ideas and explanations they provide. Your project probably got started because of someone’s passion – the type of energy that’s rarely captured on file. So, at the outset I’ll tune into the passion of your project, and help take it forward in conclusions and recommendations. You’ve probably gathered by now that I don’t ‘do’ off-the-shelf packages. Every project is unique, so I believe each project deserves a tailored research plan to suit its particular circumstances. It also needs to suit the way your organisation works. I appreciate that the next stage of your project depends on the research results, so you’ll appreciate my track record of delivering on time and within budget. If you’re still not sure whether you need help, please go to Going it alone? Otherwise please go to Services to see the types of support I offer.